The Kerala High Court Advocates Association has released an Android App called Kerala High Court Case Status. 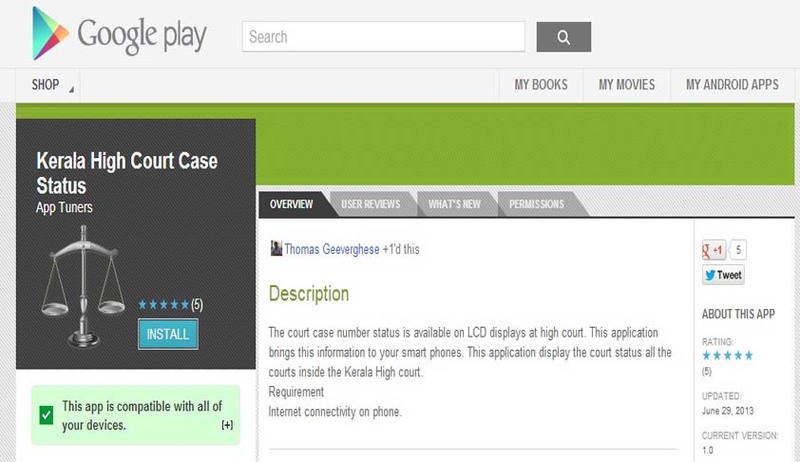 This application brings the court case number status which flashes on the LCD displays at the Kerala High Court, directly to the users’ smart phones. In effect, the application displays the court status of all the courts inside the Kerala High court. Quite obviously, this will prove to be a useful App for lawyers who have to constantly keep tabs on the Display board at the High Courts. The LCD displays at the Kerala High Court are also managed by the Kerala High Court Advocates Association. The App can be downloaded from this link.